The development of a brain from its simple beginnings in the embryo to the extraordinarily complex fully-functional adult structure is a truly remarkable process. Understanding how it occurs remains a formidable challenge despite enormous advances over the last century and current intense world-wide scientific research. A greater knowledge of how nervous systems construct themselves will bring huge benefits for human health and future technologies. Unravelling the mechanisms that lead to the development of healthy brains should help scientists tackle currently incurable diseases of the nervous system such as autism, epilepsy and schizophrenia (to name but a few), discover more about the processes that cause the uncontrolled growth associated with cancer and develop possible treatments. 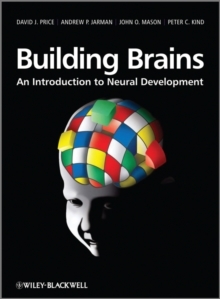 Building Brains provides a highly visual and readily accessible introduction to the main events that occur during neural development and the mechanisms by which they occur. Aimed at undergraduate students and postgraduates new to the field, who may not have a background in neuroscience and/or molecular genetics, it explains how cells in the early embryo first become neural, how their proliferation is controlled, what regulates the types of neural cells they become, how neurons connect to each other, how these connections are later refined under the influence of neural activity including that arising from experience, and why some neurons normally die. 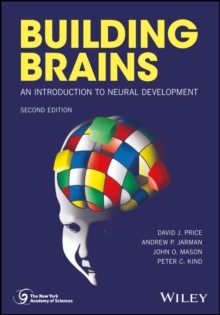 Key Features: * A concise illustrated guide focusing on the core elements of current understanding of neural development, emphasising common principles underlying developmental mechanisms and supplemented by suggestions for further reading. * Text boxes throughout provide further detail on selected major advances, issues of particular uncertainty or controversy and examples of human diseases that result from abnormal development. * A balanced mammalian/non-mammalian perspective, drawing on examples from model organisms including the fruit fly, nematode worm, frog, zebrafish, chick, mouse, ferret, cat, monkey and human, and emphasising mechanisms that are conserved across species. * Introduces the methods for studying neural development including genetics, transgenic technologies, advanced microscopy and computational modeling, allowing the reader to understand the main evidence underlying research advances. * Student-friendly, full colour artwork reinforces important concepts; an extensive glossary and definitions in page margins help readers from different backgrounds; chapter summaries stress important points and aid revision. * Associated Website includes a complete set of figures from the textbook.